Earlier this month, Newsweek magazine published its traditional pre-Easter issue with a cover story devoted to Christian things. (see my 4/9/2012 blog for a response to the pre-Easter cover story in Time magazine). 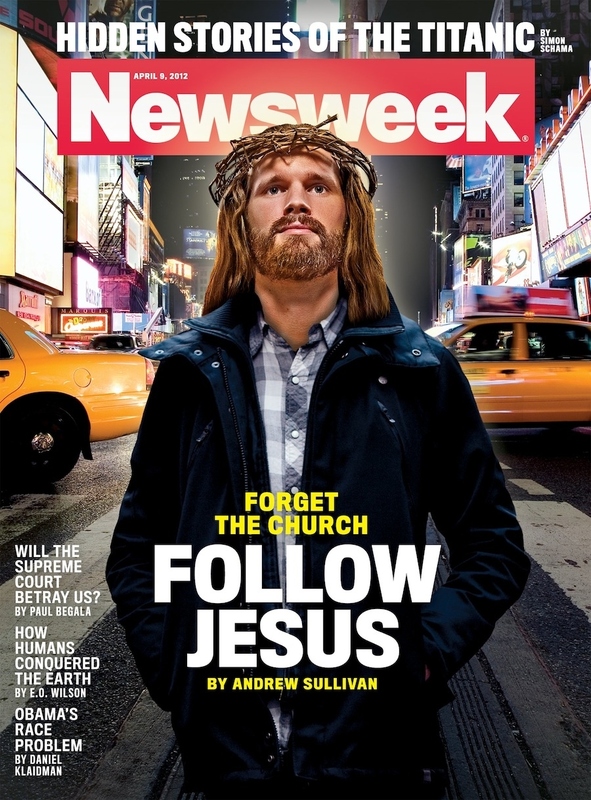 This feature article, “Forget the Church: Follow Jesus” is written by Andrew Sullivan, a regular contributor to Newsweek‘s webzine, The Daily Beast. Sullivan’s article may be found here. Sullivan is a complicated fellow: an openly gay Roman Catholic who considers himself to be politically conservative and who supported George W. Bush in the 2000 election. Knowing this, it is not a stretch to learn that one of Sullivan’s heroes in both religious and political matters is Thomas Jefferson. Sullivan begins his essay by invoking Jefferson’s famous cut-and-paste of the Gospels supposedly to produce the pure, unadulterated teachings of Jesus, untainted by the biases of Jesus’ followers or the later theologians of the church. This selective Jeffersonian reading of the New Testament allows Sullivan to assert that Jefferson considered “vast parts of the Bible as religious manure.” According to Sullivan, Jefferson claimed to be a “real Christian,” a “disciple of the doctrines of Jesus.” This is what Sullivan wants (although Sullivan admits to believing in the divinity and resurrection of Jesus, things Jefferson would not have accepted). My response: much of this seems to revolve around the ownership of the word “Christian.” The word itself is a transliteration (augh!) of the Greek word christianos, It does not mean “little Christ” as is sometimes taught, but “partisan of Christ.” A parallel in the New Testament is the term “Herodian” (see Mark 3:6), who were not “little Herods” but supporters of Herod Antipas, the quasi-king of Galilee. Christians were those who self-identified Christ as their leader. They were his disciples, his followers. Sullivan is right that the term “Christian” has been highjacked in the media only to include a certain type of Christian: socially conservative, Republican or Libertarian, anti-government, anti-tax, angry white folks. But this is neither the fault of the church or of Christians in general. The term “Christian” could be applied to 2-3 billion people on planet earth, and this one slice of an American variety hardly constitutes the whole. The sloppiness of the media on both the right and the left has contributed to this, and has allowed a politically motivated extremism to seem to speak for all Christians. I am proud to be a Christian, a follower of Christ. I am also proud to wear the label of an Evangelical Christian, one who cares deeply about spreading the Gospel of Jesus Christ. I am proud to be a member of a Christian Church, full of people I don’t agree with politically, but with whom I share a common faith and hope. I am proud to trust and follow the Bible, which will always need interpretation, but is never manure. I took my stand on these things many years ago, and I have not changed. Side-notes: Other responses to Sullivan worth reading are by David Sessions, Jonathan D. Fitzgerald, and Dan White. Sullivan himself wrote a response to Sessions entitled “Which Jesus Do You Follow?” Also, to Mr. Sullivan (if you read this) on your phrase “threat of apocalyptic war,” see my blog on “Theological Mistakes: Apocalypse Now” from April 25. Remind us, Lord, that the scary looking homeless guy, begging for money in the same spot every day (who really ought to get a job!) is a slave to addictions that we can only imagine in our worst nightmares . One of the most famous films from the 1970s is Francis Ford Coppola’s “Apocalypse Now.” It is an adaptation of Joseph Conrad’s novella, “Heart of Darkness” to a fictional situation during the Vietnam War. It is a disturbing film, full of insanity and graphic portrayal of evil. My purpose today is not to critique the film, but to use it as an example of the fallacy of transliteration. Regular readers of this blog know that I have a (mild) obsession with the mischief created when Bible translators “transliterate” a Greek or Hebrew word rather than “translate” it. To me, when they opt for transliteration, they create a new word that is immediately unhitched from the original Bible word, and (like any English word) can now take on its own meanings and connotations. I recently blogged about a new, supposedly “transliteration-free” Bible,The Voice, that failed the transliteration test when it came to John the Baptist and his baptizing. I have thought since then that it was to much to expect them to render this guy’s tag as “John the Dunker” or “John the Immerser.” We wouldn’t want to lose John’s Baptist heritage, after all. What about the word “Apocalypse?” This is a transliteration of the Greek noun apokalypsis. This word and its verbal counterpart appear over 40 times in the New Testament, so this is not a rare or unusual term. It also is found over 70 times in the LXX (the Greek Old Testament). Its meaning is simple: “uncovering.” In the LXX it is used for the concept of “nakedness,” the state of being uncovered (see 1 Samuel 20:30). So do not be afraid of them, for there is nothing concealed that will not be disclosed, or hidden that will not be made known. The parallel construction of this saying shows that the author considered “be disclosed” (apokalypsis) to be equivalent to the idea of “be made known.” In other words, he uses the word to describe a revealing, an uncovering of something that had previously been hidden. This is the only place in the book of Revelation that this word is used, and it is given in the opening to describe what kind of book it is. It is an uncovering of God’s secrets, a revelation of things soon to take place, an apocalypse for the benefit of its readers. Why is this important? 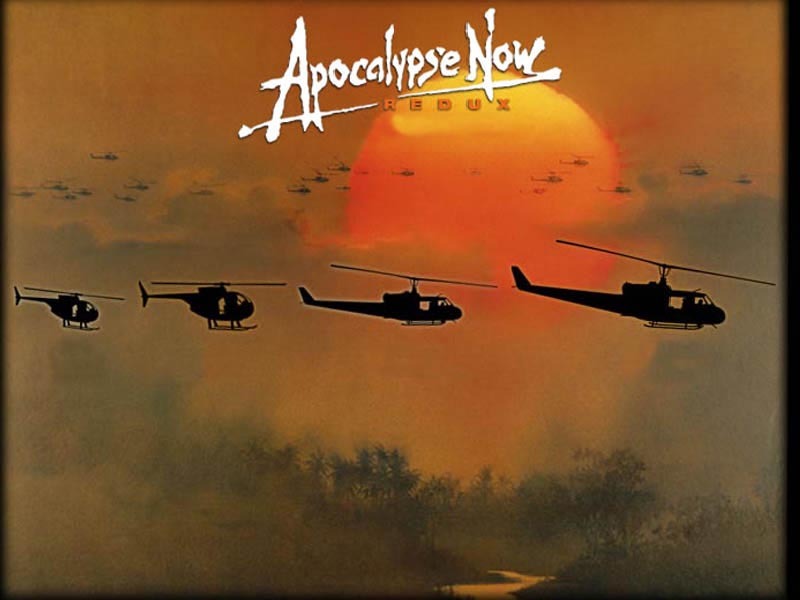 Unlike Coppola’s highjacked use of the word, there is no connection between “apocalypse” and “horrible, evil, bloody war.” To refer to nuclear holocaust as an “apocalypse” is a misnomer fueled by the fallacy of transliteration. Yes, the book of Revelation does portray cataclysmic events, both as figurative expressions of the wrath of God and as perhaps as predictive of some type of gigantic war against the forces of evil and the conquering army of the Lamb. But the idea of the book is not war, it is victory for those who remain faithful and true. It is full of worship and promises for those who were being persecuted under the Emperor Domitian, some even dying for their faith. We have allowed the book of Revelation to be synonymous with the horrors of war in popular imagination. So, to all of you apocalypse = war folks out there, find your own word. And yes, I’m talking to you, video game creators. 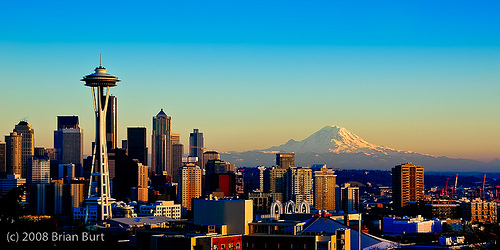 I am in Seattle right now with my Week of Ministry team. 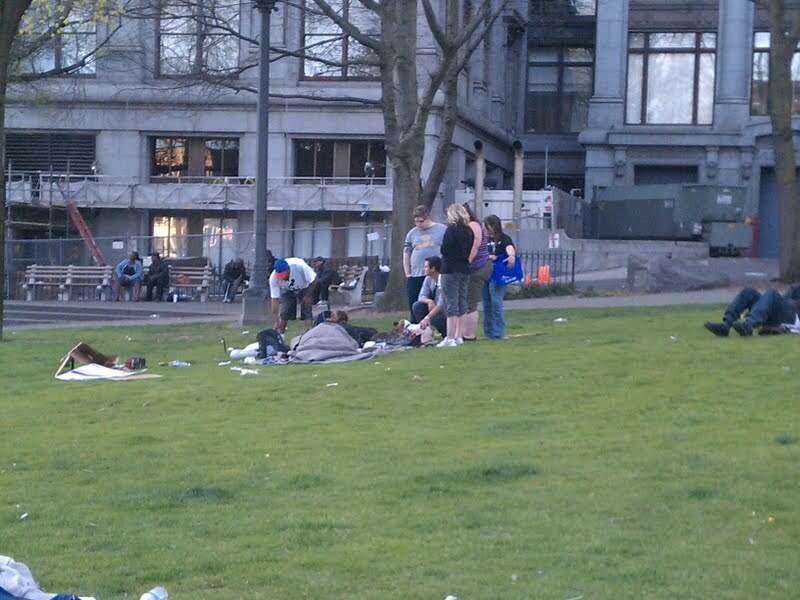 Yesterday we help our ministry partners, Praisealujah Ministries, by handing out food and toiletries for homeless folks at a park at 3rd and Yesler. It was eye-opening for these folks from Nebraska. After that we attended the evening worship service of Mars Hill Church in the Ballard area. Pastor Mark Driscoll’s sermon was done via a pre-recorded video, but was very good. I have heard Driscoll before. He is a marvelous communicator. He has a style all his own, which is to preach what many would consider several full-blown sermons in one message. Last night he had four. The content is rich, but a little like drinking from a waterfall at some point. One thing he said that really stuck with me from the sermon(s) was his point at the difference between a “critic” and a “servant.” These two will look at the same dysfunctional situation in need of repair. The critic will look from a distance, allowing himself the ability to criticize and belittle. The servant will say, “Let’s fix this,” and will jump in to help. I have been on both sides of this, critic and servant. I pray that as I continue to mature in the Lord, I will lose more of my critic side and enjoy the life of the servant to the fullest. May we all be more like Jesus this week and find ways to serve instead of criticize. 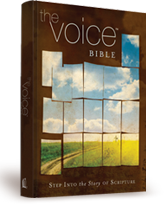 Yesterday, my wife pointed out to me a CNN spot on a new Bible translation called “The Voice (TM).” You can watch it here. The CNNers want to stir controversy, so they begin by pointing out that this new translation does not have the words “Christ, angel, or apostle in the book.” Then, they compare it to the venerable King James Version. The interview part is with David Capes of Houston Baptist University, a participant in this project. What’s going on? Let me admit that this project has been under the radar for me. I try to keep abreast of English Bible translations, but had barely heard of this one. The Voice’s web site provides a list of the translation participants. I recognize a few of the names: Darrell Bock, Alan Culpepper, Tremper Longman, but not many. There were 26 members of the “Translation Team,” all Ph.D.s but one. There are another 50+ listed on the “Writing/Creative Team.” Here is where the list gets more interesting because it includes Brian McLaren, Donald Miller, and Leonard Sweet; well-known folks in the postmodern, emergent church scene. I will probably spend more time on The Voice in future blogs or in an article for publication, but let me mention a few things that seem to make it a little different. Jesus: Come and see. Follow Me, and we will camp together. It was about four o’clock in the afternoon when they met Jesus. They came and saw where He was staying, but they got more than they imagined. They remained with Him the rest of the day and followed Him for the rest of their lives. Hmmm … quite a bit of insertion. I don’t know if the italics system should give an excusable free pass for this. It becomes a dynamic equivalence translation with running commentary in the form of italicized insertions. Second, if you listen to the CNN interview, you hear that the translators chose to avoid transliteration and go with translation instead. This quickly explains the absence of “Christ,” “angel,” and “apostle” as words in The Voice, for all of these are transliterations of Greek words. So, “angel” becomes “messenger,” an accurate meaning of the underlying Greek word. As followers of this blog know, I think that the practice of transliteration has caused a great deal of mischief in the Christian world, so I applaud this approach. But there are limits to what The Voice will do in this area. So in a sample text found on the web site, we still get the transliteration “baptize” in John 1:26. Third, the web site for The Voice makes it clear that this is a project sponsored by Thomas Nelson Publishers. This is in keeping with large Christian publishing houses wanting to have their own English translations, presumably so they can control the rights to the text. Thomas Nelson was recently acquired by HarperCollins, the parent company of Zondervan (the commercial controllers of the NIV empire). This is just a brief, mildly informed look at The Voice. More to come. 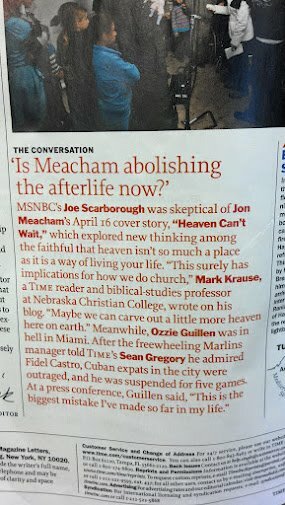 BTW: This blog was quoted in Time Magazine, April 22 issue, p. 2, sharing a paragraph with Joe Scarborough and Ozzie Guillen. Cool! A student in my current online course pointed out a recent video by David Platt that questioned the idea of “asking Jesus into your heart” as a “superstitious prayer” not found in the New Testament. (You can view it here.) I don’t have enough context to know exactly what Platt is driving at, but his comments are thought-provoking. In the Christian Churches, the idea of conversion by praying a sinner’s prayer has met with opposition for many years. This was seen as an unbiblical practice designed to make conversion quick and convenient. It was especially worrisome that praying the “Sinner’s Prayer” as the way to be saved was seen to bypass baptism, historically the church’s dividing line between being a non-Christian and becoming a Christian. I once had a professor who was almost manic in his opposition to the idea of asking Jesus into one’s heart. For example, I remember that he taught us to reword the final words of the gospel song, “He Lives.” Rather than, “You ask me how I know he lives? He lives within my heart.” we were told we should sing, “You ask me how I know he lives? The Bible tells me so.” This bothered me, and more than just because it ruined the rhyme of the song (which did bother me). The idea of using a “Sinner’s Prayer” surely came with some theological baggage. Not least in this was the Calvinistic doctrine of the “Perseverance of the Saints,” sometimes called the “Once Saved Always Saved” doctrine. The idea behind this was that if salvation is a gift of God given by God, it could not be lost only withdrawn by God. And, since God promised never to abandon us, there was no reason to think that our salvation would ever be withdrawn. 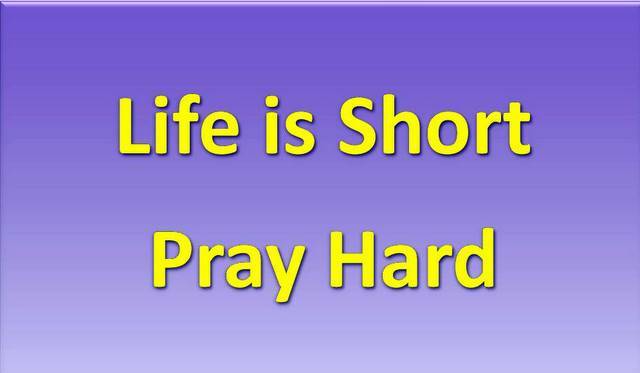 Therefore, if a person could be “saved” by praying a prayer, that salvation was complete, a done deal. Some detractors likened this practice to “fire insurance,” assuring the praying person that he or she would be saved from the fires of hell. But a theological problem was created by some who advocated salvation by praying, but who were not thorough-going Calvinists. They were “four-point Calvinists,” rejecting the doctrine of election. This doctrine teaches that God chooses who will be saved. The prayer salvationists seemed to be teaching that we choose to be saved by praying the correct prayer. I dislike this practice because it seems to give an outsized role to the one praying. It is as if we own the mighty temple that is our heart, and permit God to take up residence there. And I share Platt’s dismay that this popular methodology is at best unknown to the New Testament, and at worst is antithetical to the basic idea of conversion we find in the early church. It seems to me that the core act of conversion in the New Testament is to submit to Jesus as Lord. This is expressed in many ways. We become “disciples,” students under a master. We leave everything to “follow Jesus,” giving up our claim to live life however we desire. We “believe in the name of Jesus,” meaning we put our trust in him rather than ourselves. We are “crucified with Christ,” meaning our old selfish life is abandoned and we live according to his guidance and will. We are “baptized into Christ,” meaning we take on a new identity as part of the body of Christ as one of its members. Maybe this method will pass away like so many faddish things in the church. Yet I don’t want it to entirely go away, because I want Jesus in my heart. I want him to rule in my life. I want it to be about his will, not mine. 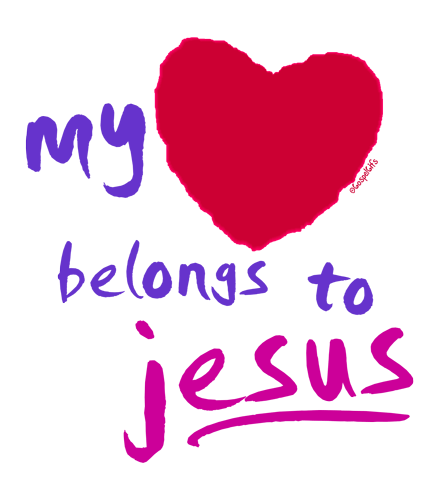 I want my heart to belong to Jesus. May he reign as king forever.